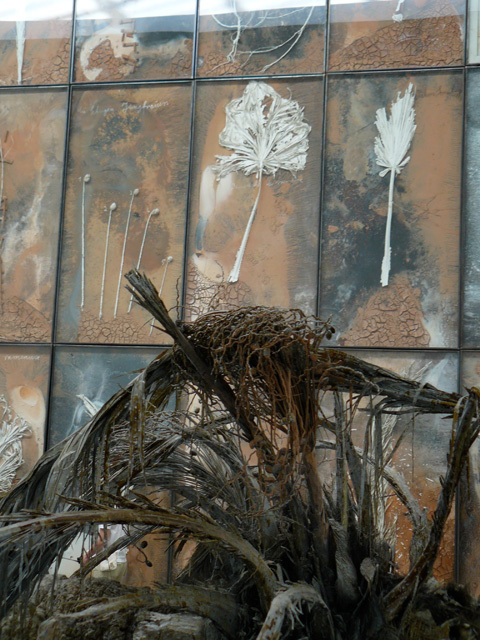 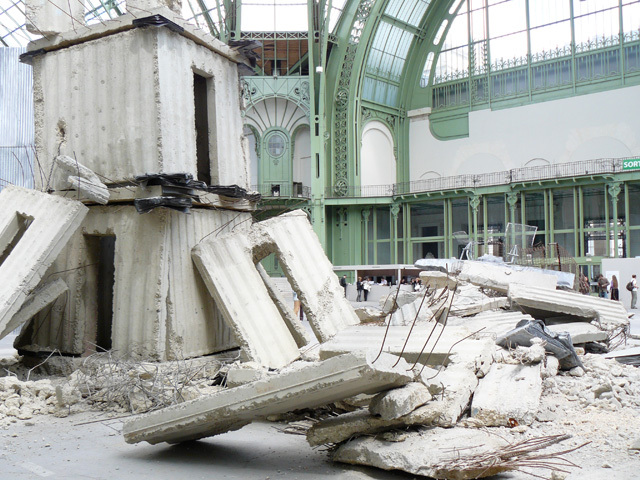 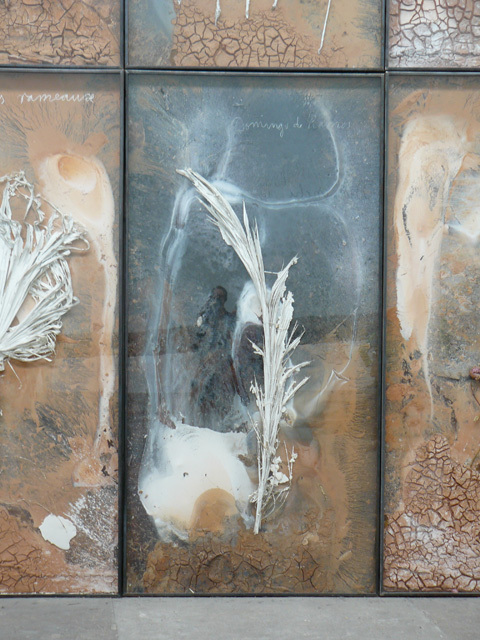 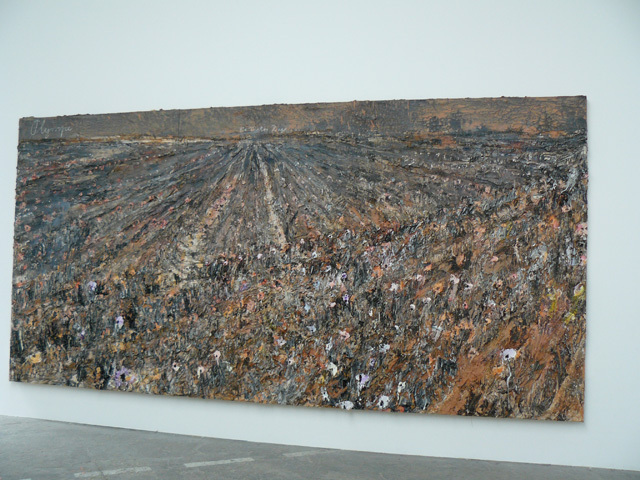 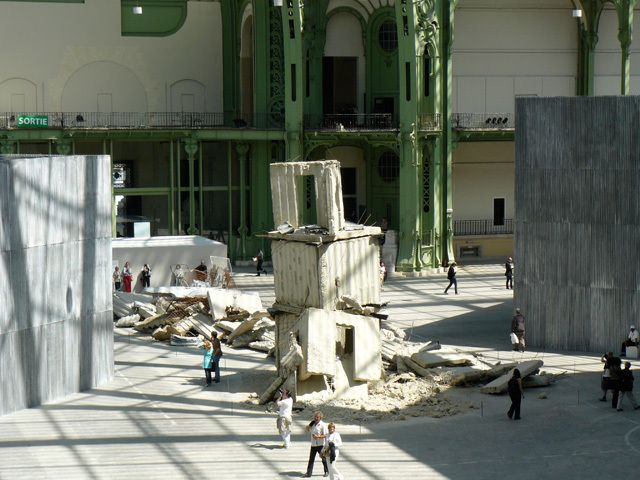 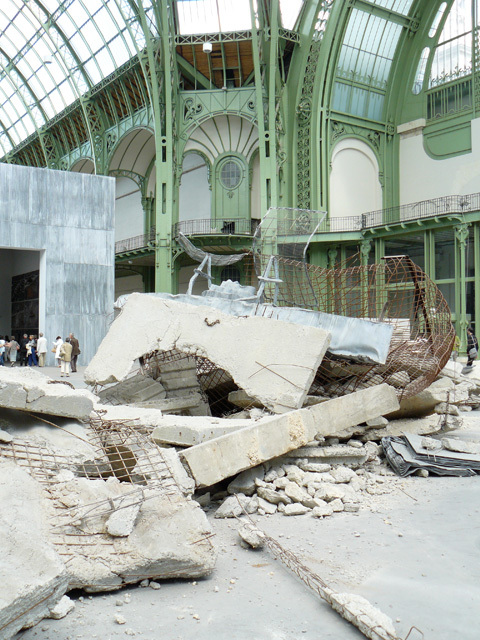 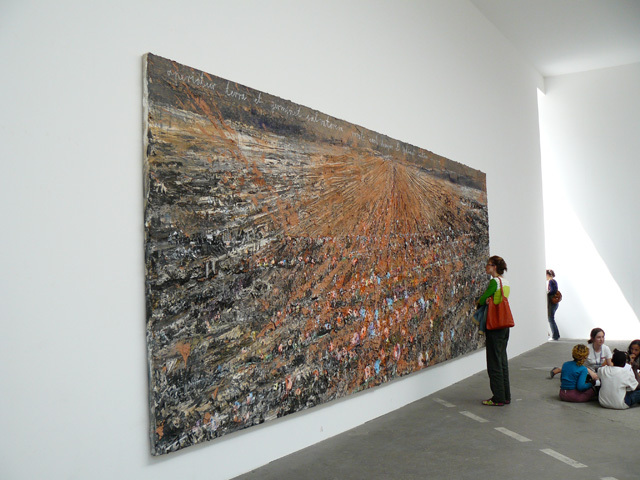 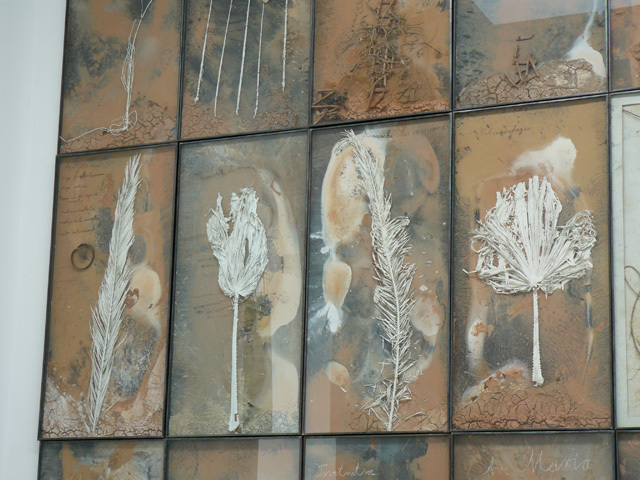 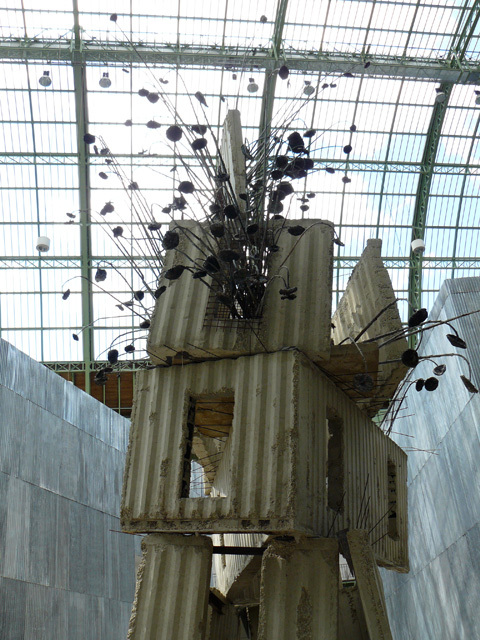 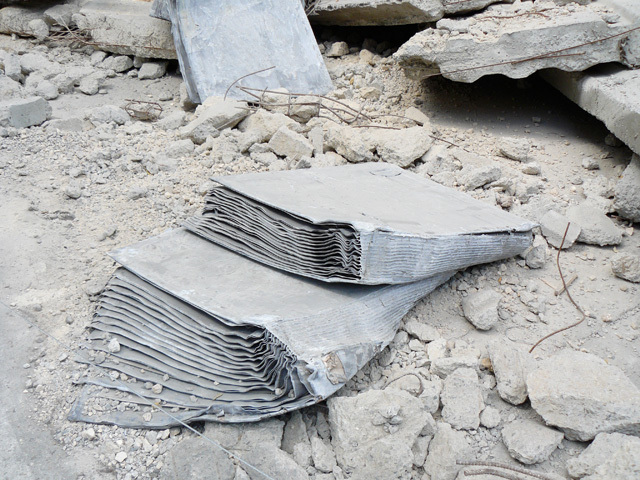 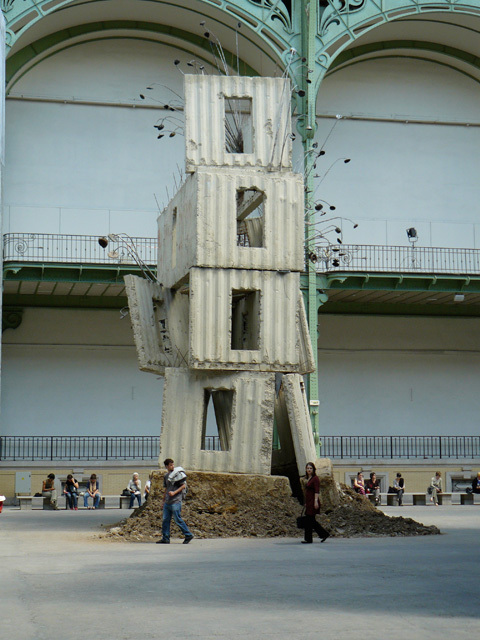 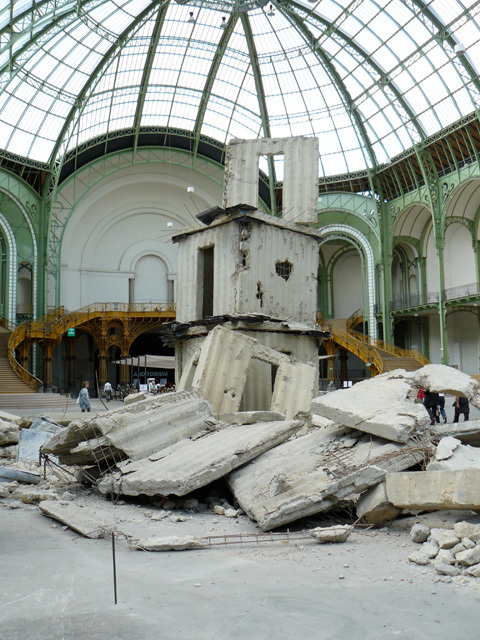 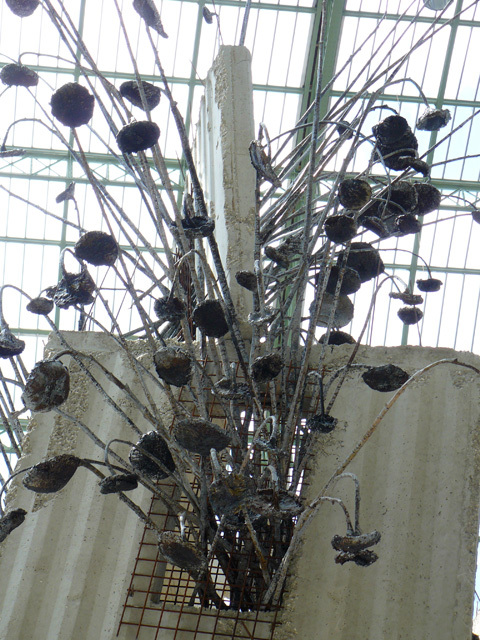 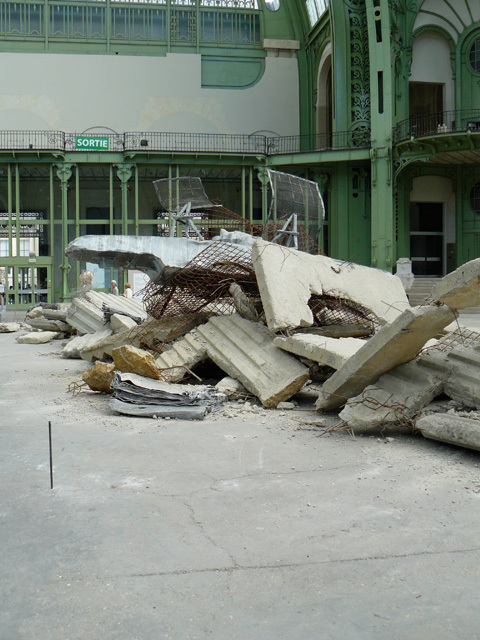 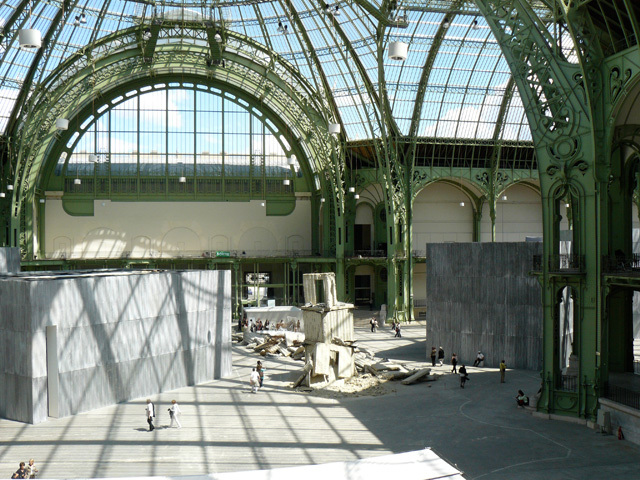 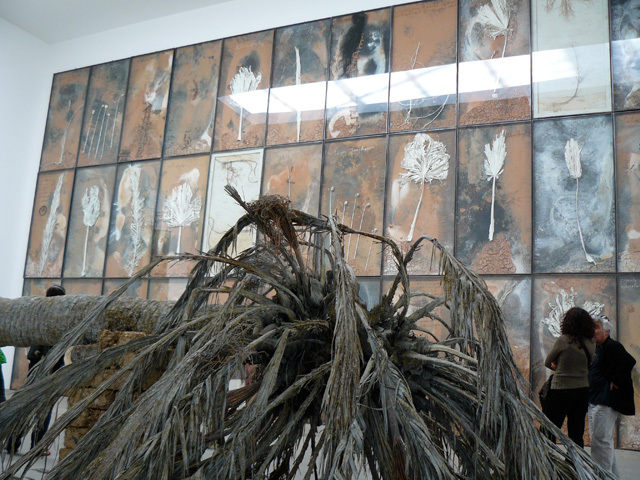 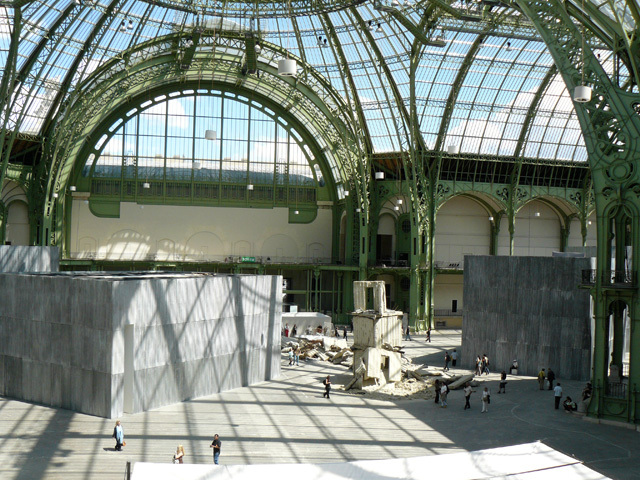 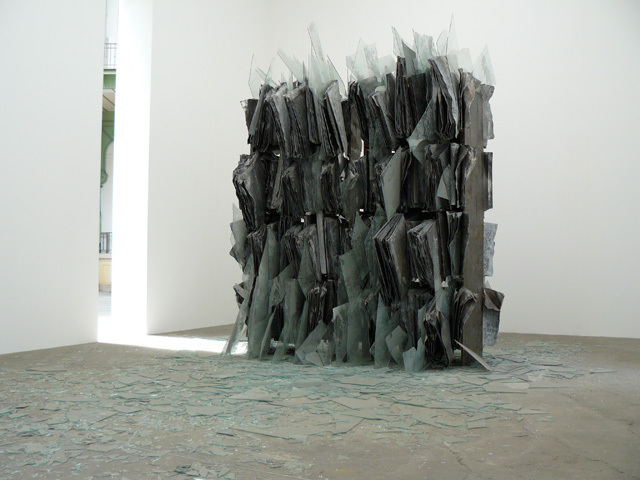 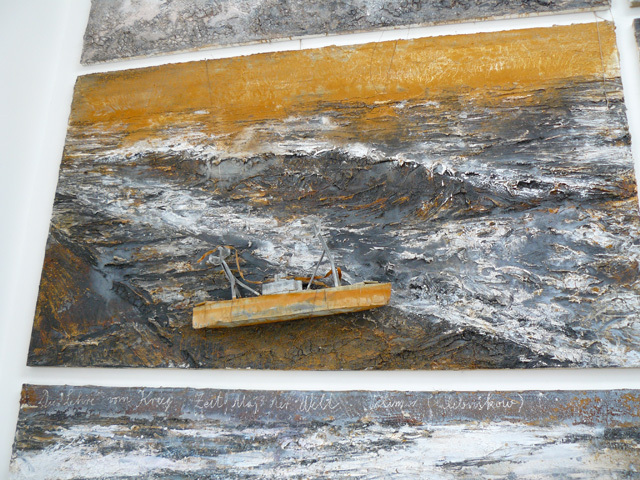 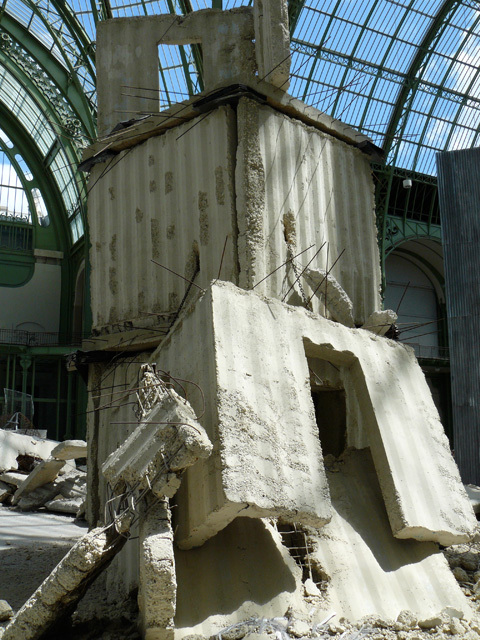 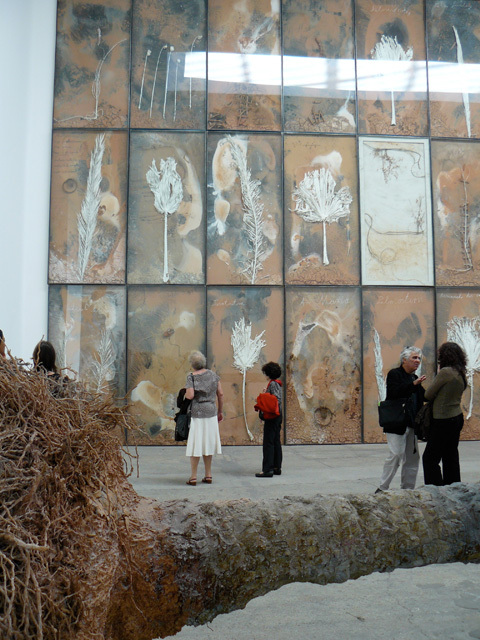 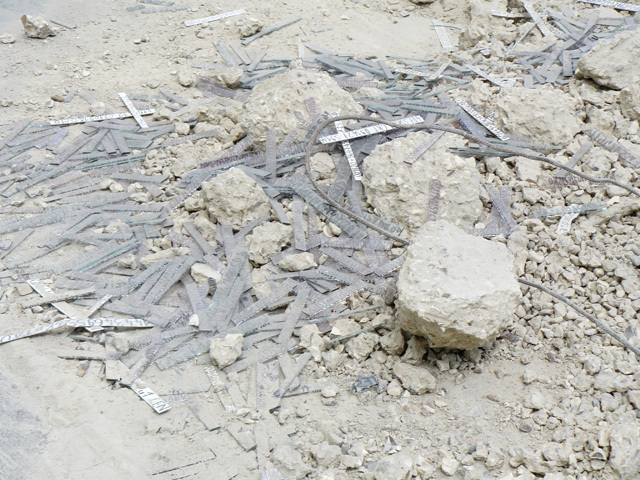 I confronted, experienced, wrestled and celebrated Anselm Kiefer's work in Summer 2007 at Monumenta in Paris. 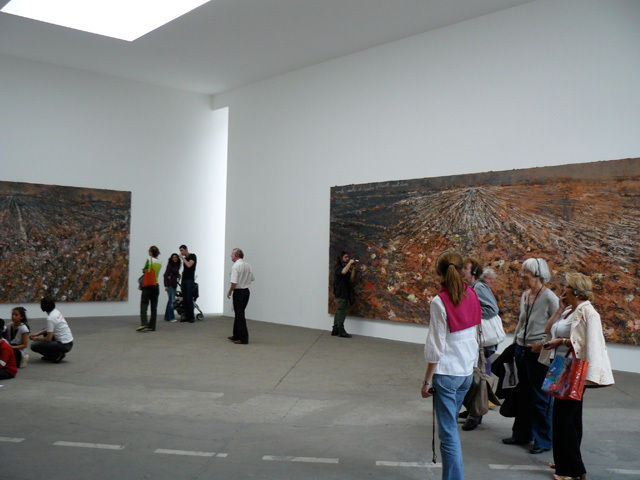 This show will always be one of my most memorable. 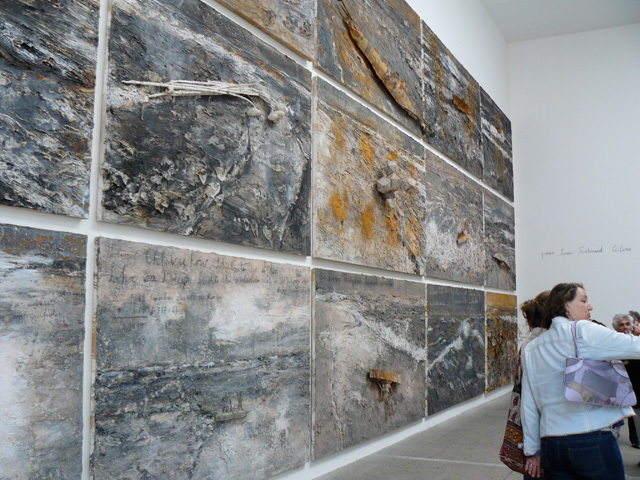 The sheer scale and volume of work was one to be digested over a long period of time that day. 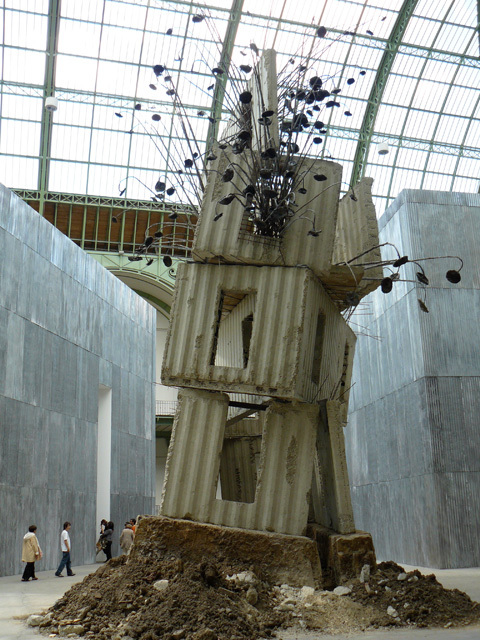 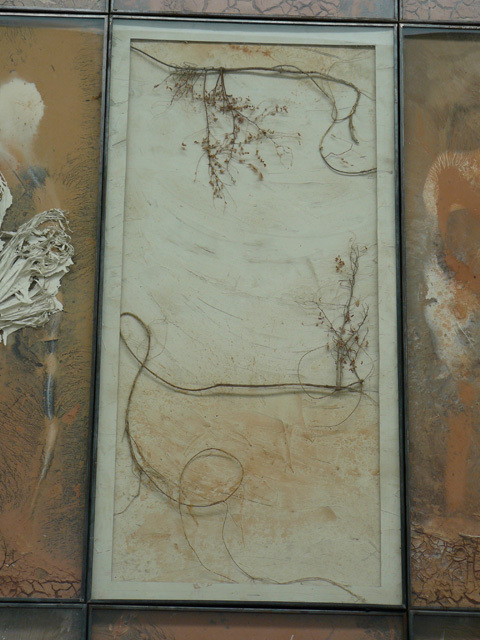 Kiefer, with his childhood memories, manifesting themselves in this heroic work pulled my emotions to the very edge. 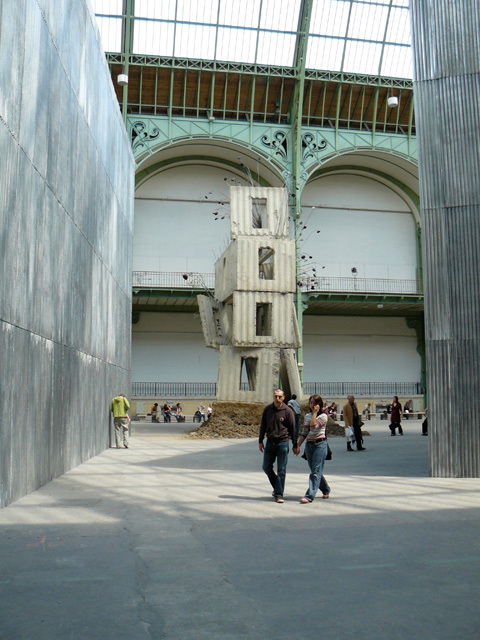 Towering ruins that felt as if they would topple on you at any moment, shattered glass pages of a lead book; all brought on feelings of both awe and fear. 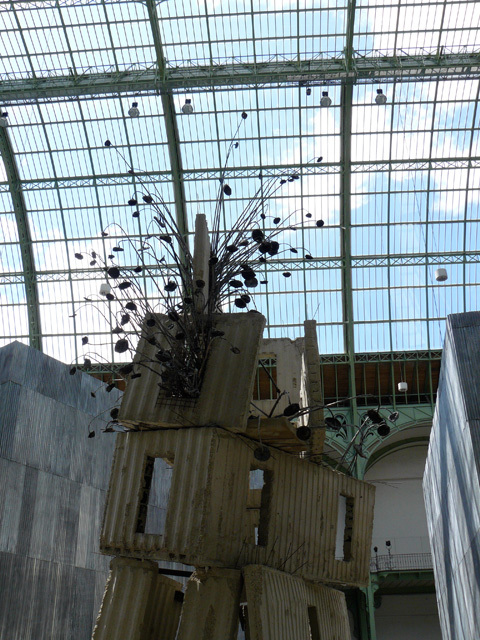 My photography cannot express the magnitude of the installations, but for me it is a reminder of what an artist that dreams big and is given a large canvas can achieve.